Comments: This is an example of a bright red cultivar of tulips. 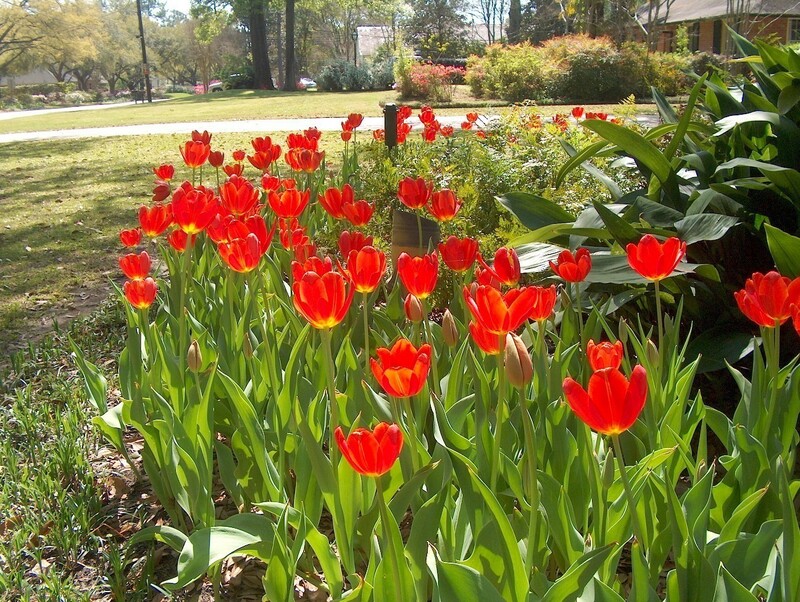 Select a well drained soil, preferably a raised bed, and a sunny location for tulips. After flowering discard bulbs because they cannot be depended on for a second year of flowering in the Lower South. Purchase bulbs in late autumn, place them in a cold storage facility like a refrigerator for six weeks and plant in late December or early January.